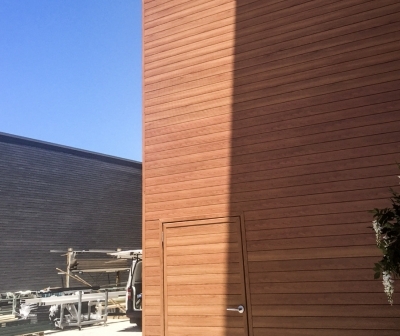 Knotwood’s cladding system is a stylish design application that will dramatically transform the appearance and value of a building. 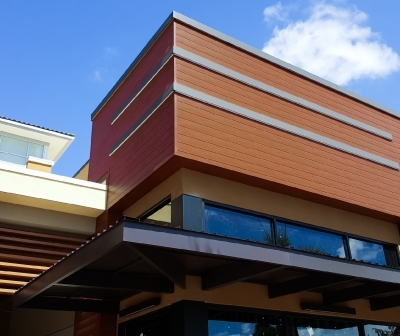 Knotwood’s cladding not only looks great, but it also protects the building from the effects of weather. It is extremely lightweight, and yet strong and durable. 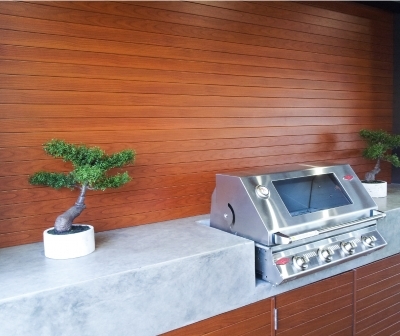 Knotwood’s Aluminium cladding is suitable for use in bushfire prone areas. Aluminium does not burn, and is classified as a non-combustible construction material. 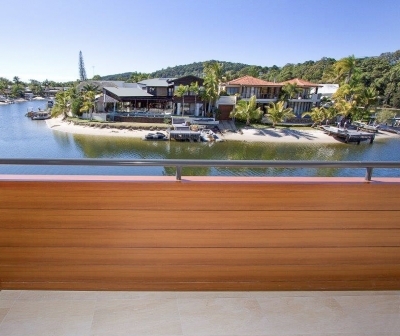 It complies with Australian Standards AS1530.3 and AS1530.1. 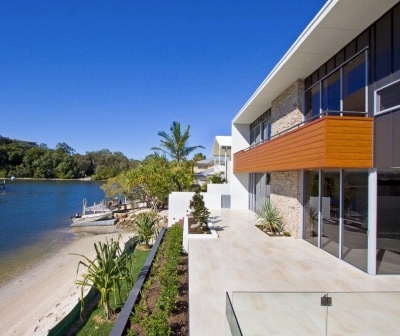 Aluminium cladding is low maintenance and doesn’t require repainting. 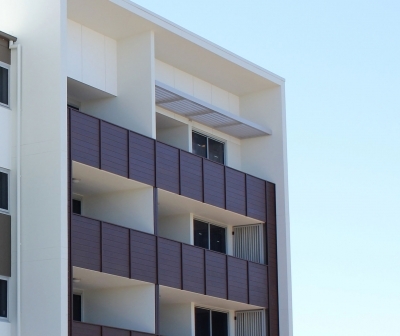 It is a practical and cost effective solution for your building. 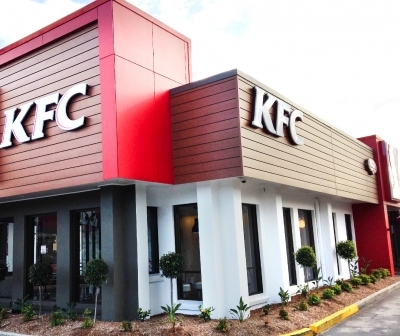 Knotwood’s aluminium cladding system is innovative and unique. It has been designed for easy installation. It can be fitted from either the top down or the bottom up. 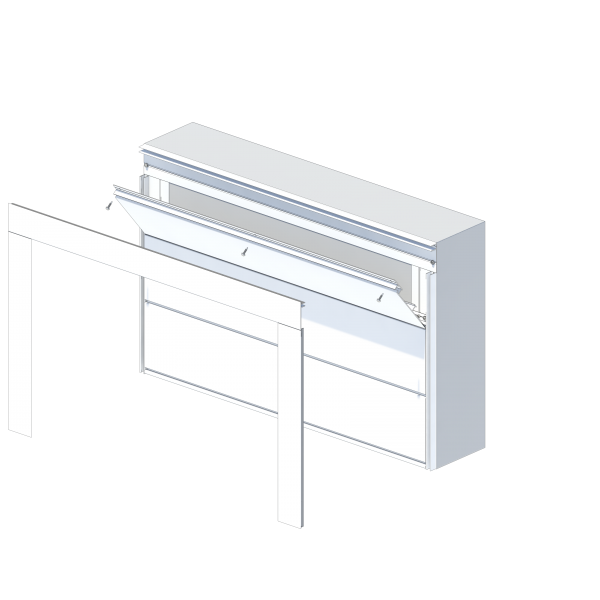 Our special clip fixing system allows for expansion and contraction of the cladding board. 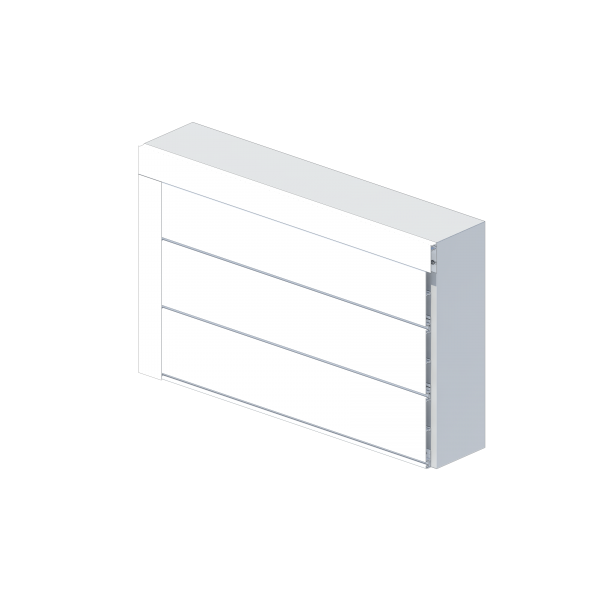 This ensures the boards won’t twist or warp in all weather conditions. Each board has a 7mm adjustable spacing which allows for minimal cutting and waste. 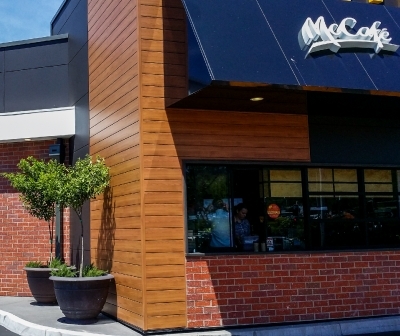 Knotwood’s cladding is based on an interlocking board system. It includes extra components to easily manoeuvre around windows, corners and joins.